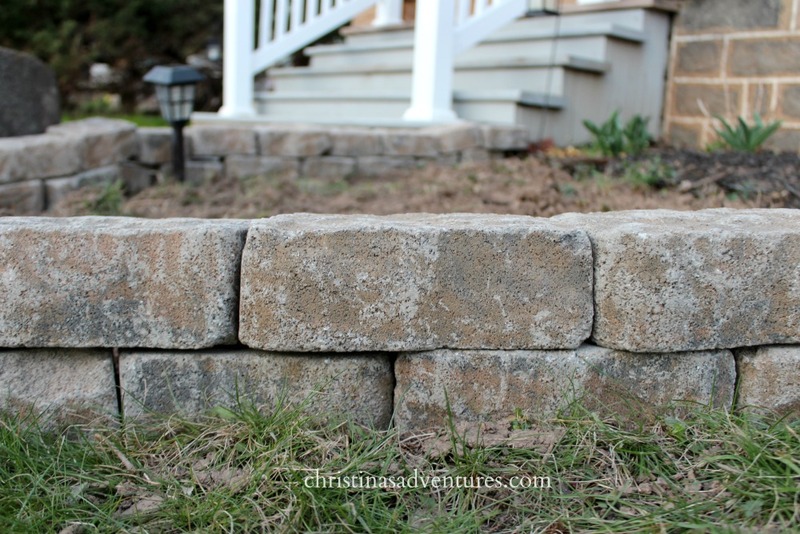 Easy DIY curb appeal weekend project: garden edging with mini flagstones from Lowe’s. 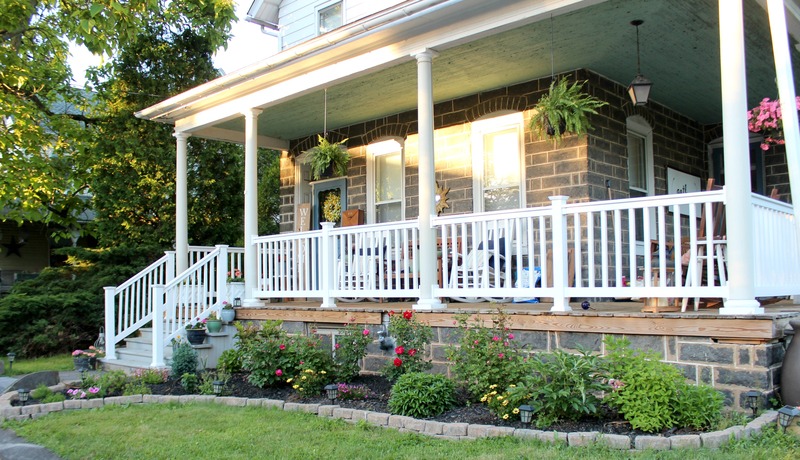 Learn how to transform your outdoor space on a budget! We’ve been working hard at transforming the interior of our home, but the exterior needs work. What I mean is – it needs a LOT of work! It can get a little overwhelming when I start to think about how much we still have to do with our fixer upper outside, but tackling weekend DIY projects really helps to give me confidence and hope that this will all come together someday! 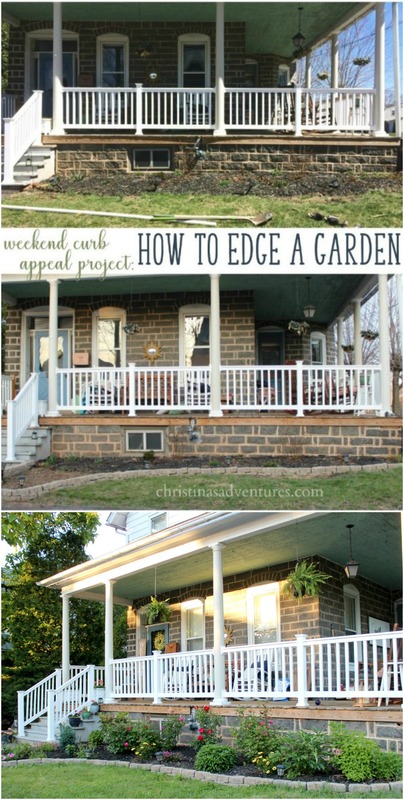 I’ve partnered with Lowe’s to bring you our first weekend curb appeal project of 2017: garden edging! This is a *very* simple project, and I promise you can do it! 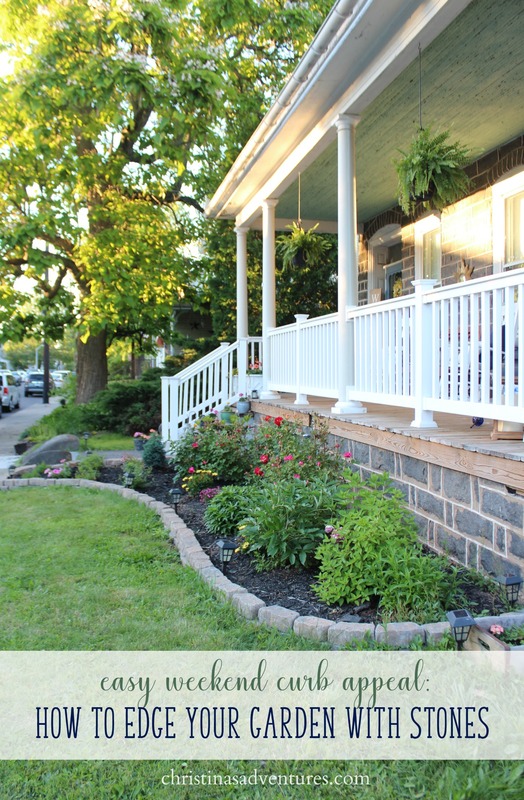 It’ll add so much interest to your yard, and will really help to define your garden space. It’s a big impact for a reasonably inexpensive pricetag, and you’ll feel very accomplished when you see what you’ve done! 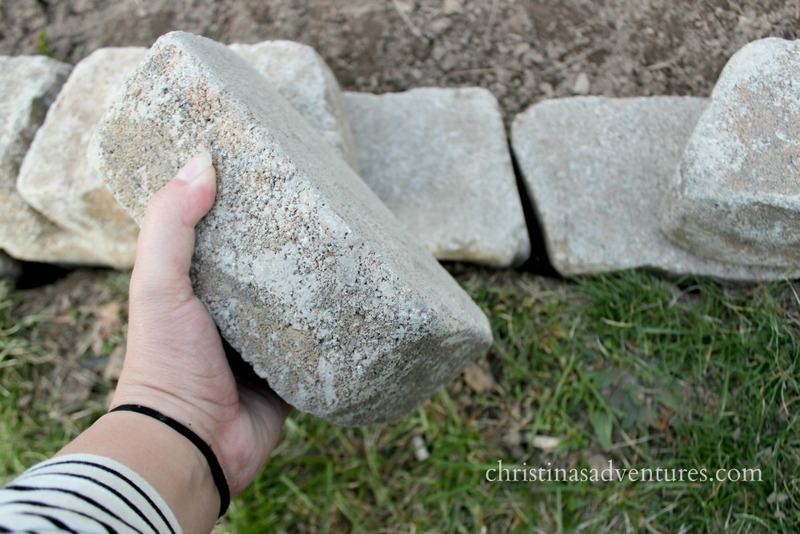 If you’re using the same stones I used, then I found this trick to be helpful. Since the bottom of the stones were flat, it actually helped to put the first row in upside down. This way, I had a flat surface to lay the second layer on. I wouldn’t recommend doing more than two layers with this specific kind of stone. 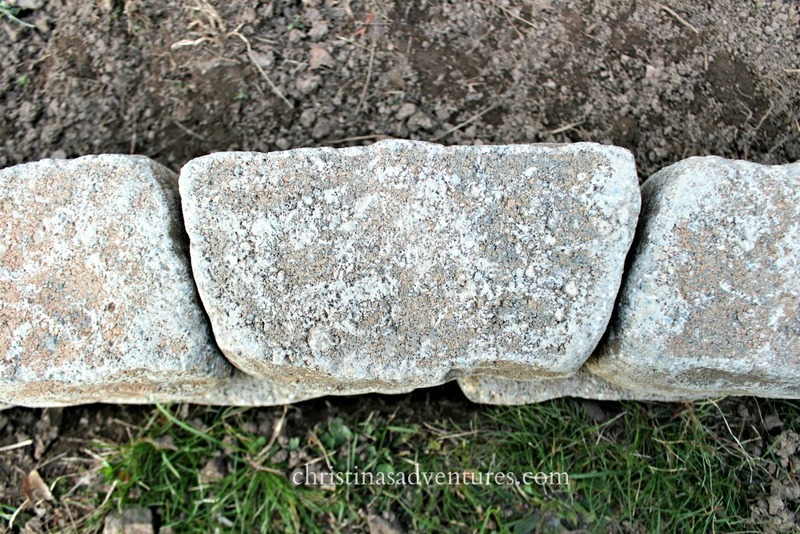 Continue along through your whole garden border this way. Then add dirt, plants, and finally mulch! For now? 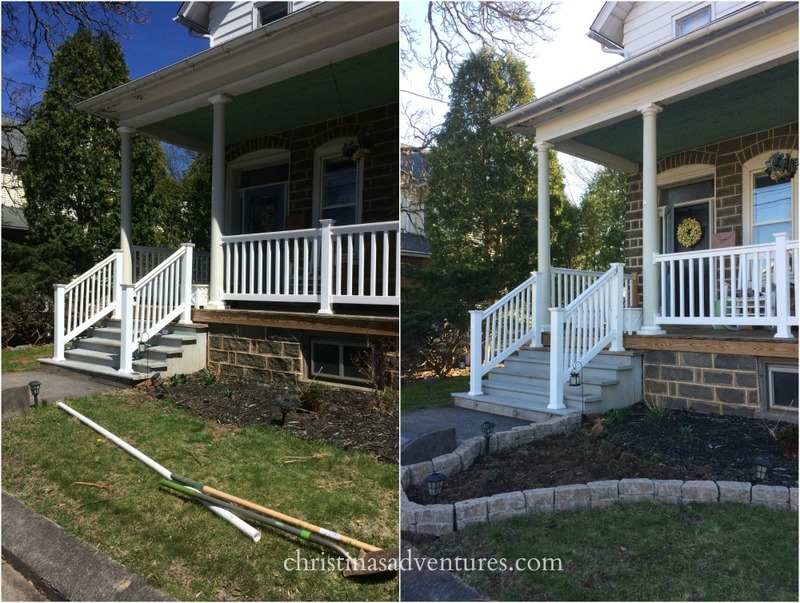 The garden edging really helps to define our gardens and up our curb appeal already! This is a sponsored post written by me on behalf of Lowe’s. As always – opinions are 100% my own! You did it well, applauded.